The rear MXR6 features a new, reinforced carcass that greatly minimizes stretching to maintain a flat profile during aggressive acceleration and cornering. The result is a much more consistent feel and enhanced traction, as well as better balance of straight-line and turning grip. This new carcass also allows for lower tire pressures, which increases ride comfort as well as control. The end result is lower lap times from green flag to checkered. The new front MXR6 is specifically designed to complement the rear MXR6, and it now utilizes a longer-wearing tread compound, which means the rider will benefit from more motos between tire replacements. ​Both the front and rear Holeshot MXR6 tires use a proven tread design that's ideal for loose track surfaces, employing wider-spaced split knobs for better bite and clean-out. Like all ITP Holeshots, the 2-ply MXR6 tires are exceptionally light yet tough enough to tackle the harshest tracks with confidence. Rear MXR6 uses a new reinforced carcass; minimizes stretching while maintaining a flat profile, providing consistent feel and performance. Front MXR6 features a new, longer wearing tread compound for more motos per tire! Find your tire size in the chart above and then select your tire size below for ordering. 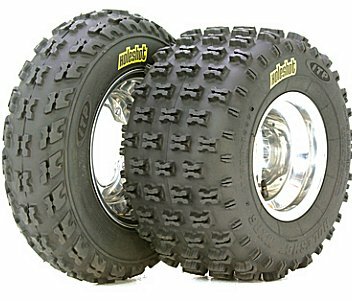 Prices vary by tire size, and start at $78.95. The price listed above will match the price of the item added to the cart.